London, England. Publisher: Theosophical Publishing Society. Editor: Countess Wachtmeister. 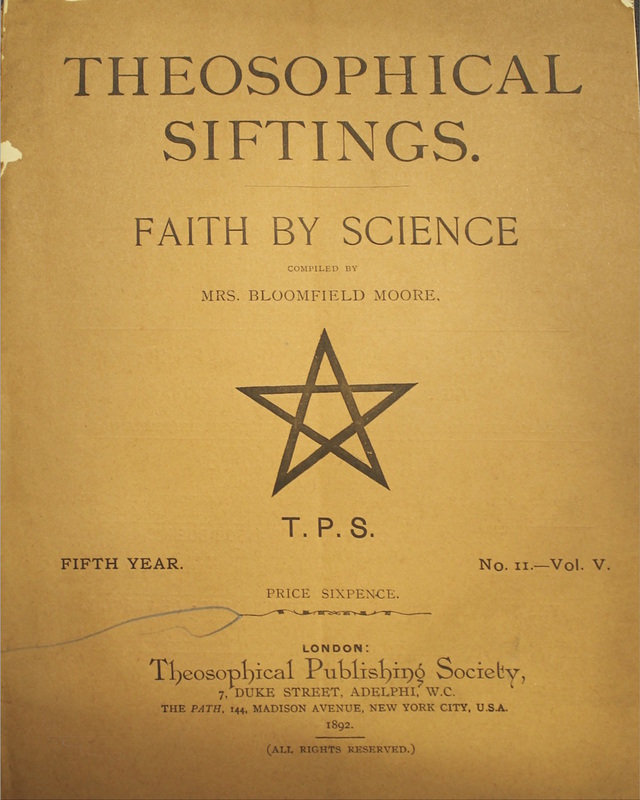 A periodically published series of Theosophical and occult essays and translations, each with its own title, with contributions by H.P. Blavatsky, C.C. Massey, A.P. Sinnett, Franz Hartmann, W. Scott Elliott, C. Pfoundes, W.Q. Judge, J.W. Brodie Innes, Mrs. Bloomfield Moore, A.E. Waite, et al., and essays on Swedenborg, the Taro, karma, Keely, Hermetic Philosophy, etc. The table of contents of the journal, prepared by the Australian Theosophical Society, is online at ww.austheos.org.au. Los Angeles Public Library; University of California, San Diego; Yale University; Harvard University; University of Minnesota, and other locations in OCLC. Archivo General de la Guerra Civil Española. Indexed by the Campbell Theosophical Research Library, Sydney, Australia, online at www.austheos.org. ATLA microfilm.